In the recent post about my trip to the salvage yard (here), I mentioned another find behind the F-700. 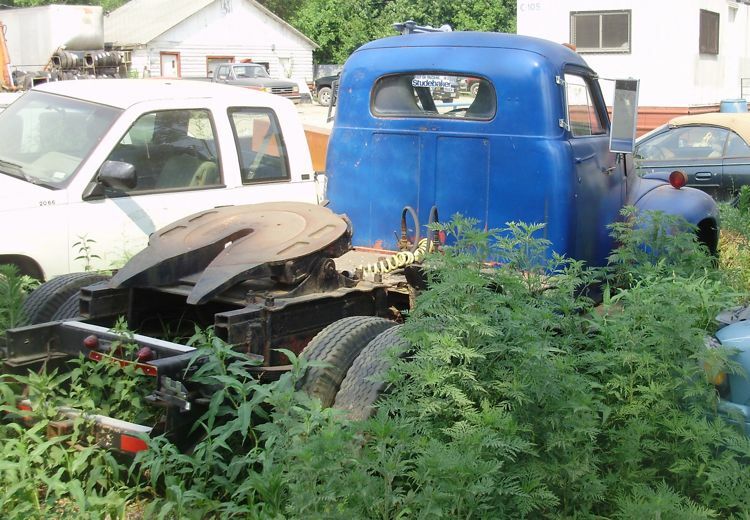 I was pretty tickled to find this 1946 Studebaker M16 truck. Studebaker introduced its M-Series in 1941. 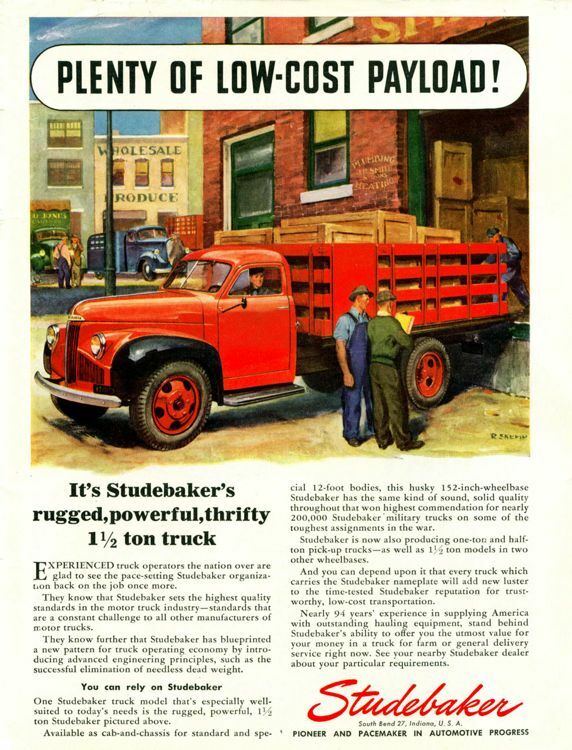 While production of all civilian automobiles ceased in early 1942, Studebaker continued making trucks for the war effort. 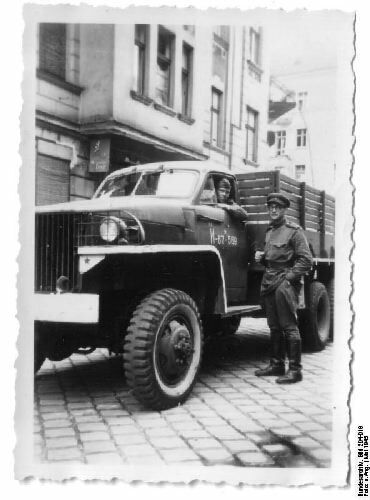 During World War II, the famous military US6 2.5 ton 6×6 trucks were built by three manufacturers: GMC, Studebaker and IH. The Studebakers would be heavily utilized in the Southeast Asian Theater and used extensively in the construction of the Burma Road. 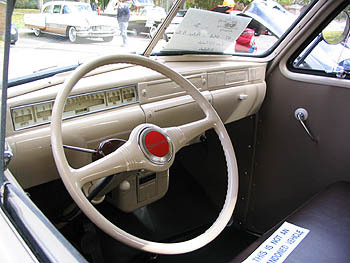 The Studebaker version was unusual in their use of a vent window, as they used the same cab as the M-Series trucks. But among other obvious differences, the US6 used a larger Hercules engine, not a Studebaker engine. For someone as stubborn as Old Joe, that is high praise indeed. After the war, civilian production resumed with a brief 1945 model run, shortly after which 1946 model production commenced. The M16 was the civilian model with 19,451 built for 1946. All were powered by a 94 horsepower, 225 cubic inch (3.7-liter) six-cylinder. The M16 was available in a 128″ wheelbase, a 152″ wheelbase, and a very long 195″ wheelbase. Production of the M-Series would continue through the end of 1948. I spotted this M16 in a salvage yard in Hannibal, Missouri. It has no engine and the interior had late-model bucket seats. The entire vehicle is for sale. For the bearer of such a glorious heritage, let’s hope this isn’t the end of the road for this old girl. Wow. Cosmetically, that beast looks great. I’m glad to hear that it’s for sale, and not destined for scrapping. Never heard anything about one of these smaller Studes here in Russia, also, we had aplenty of Ford AA and Autocar SA 4×2 trucks, both imported and license-built, but 4×2 vhicles were vastly insuffecient in many cases – hence the devotion that Joe’s men had for the AWD US6. It was so popular, that almost all USSR trucks developed in the first two post-war decades mimicked it’s external styling to some extent, that was seen by the drivers as a “quality mark”, sort of. My bad too; I should have caught that, because I knew that. I’m making some changes to the headline and text right now. Thanks. 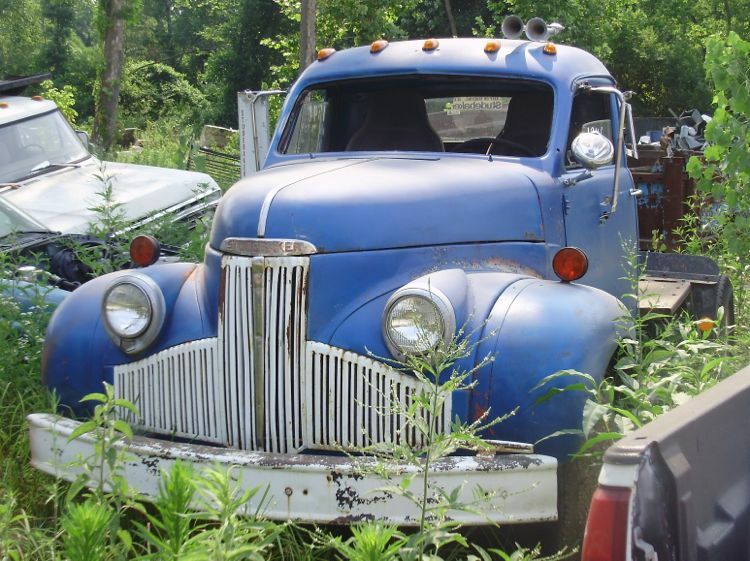 Time flies but the last time I spent much time in the farming area of my youth the civilian farm truck of the 40’s and 50’s were very much a continuing presence. I really think many of them are still working today. 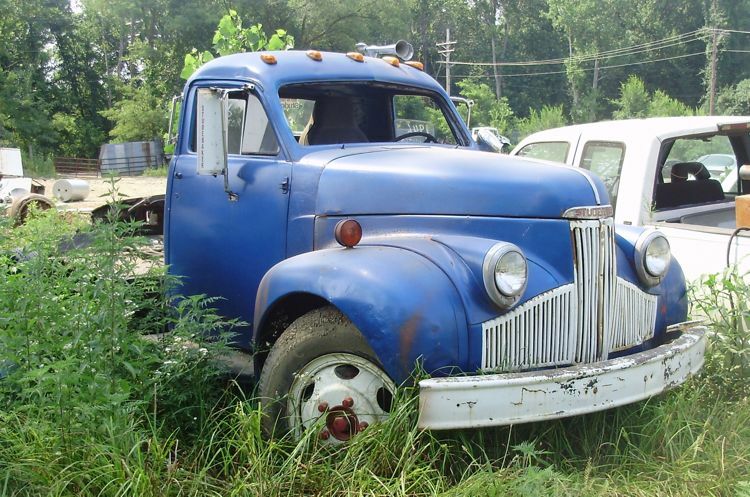 I was always amazed as a kid that flathead sixes were pretty much the standard with the 1 1/2 and bigger farm trucks. Gearing is everything. I guess setting unused till harvest time contributes to longevity also. Boy, I wish I had use of such a thing. Hmmmm – my commute is only 1 mile . . . . . .
Is it just me or is the interior of that cab far more modern that you’d expect for the late ’40s? Quite a nice looking truck – the steeply raked windscreen look squit emodern, and I love the chrome grille! “…looks quite modern…” not “…look squit emodern…” I gotta drink less coffee. Or more. It’s a fine line. Please send pictures and asking price.